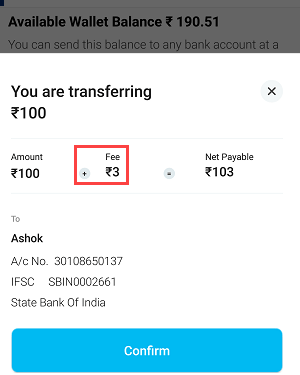 You can now easily transfer paytm wallet money to any Bank account. 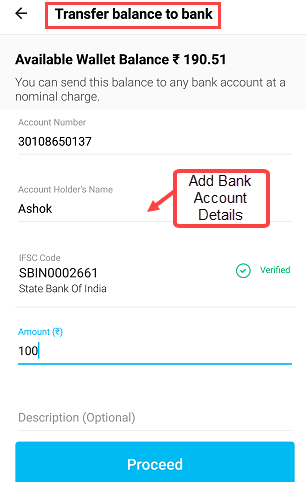 If you want to withdraw your Paytm wallet money and send back to your Bank account then follow this step by step guide. Paytm mobile wallet and payment service has now 100 million users. You can also open Paytm saving account by completing physical KYC or just keep your wallet active with minimum KYC. Please note, as per RBI guidelines to continue wallet services, you need to complete KYC process first. If you are unable to do this then you can’t transfer money to Bank account. 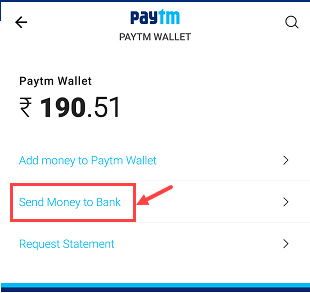 Now see step by step process – How to Transfer Paytm wallet money to any Bank account. If your Paytm wallet is KYC compliant then you can easily transfer your wallet funds to any bank account. You just need Bank Account number and IFSC code. 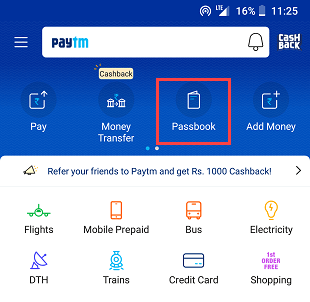 Step 1: Open Paytm Application and tap on “Passbook” to open your passbook. This is digital passbook where you can see your available balance and transaction history. Step 2: In Passbook, you can see your wallet available money. Tap on the Paytm wallet for the next step. Step 3: Now you can see “Send Money To Bank” option as you can see below screenshot. Tap on this option. Transaction successful! your Paytm wallet money successfully transferred to your Bank account. This IMPS transfer so the amount will be credited to your bank account instantly. 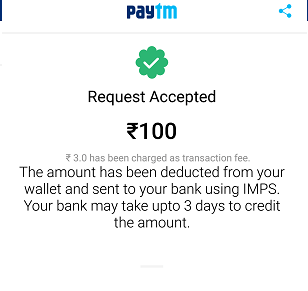 If you have Paytm Payments Bank account with a different mobile number and you want to transfer money from your Paytm wallet (which registered with another number) to this Bank account then just add your Paytm Bank account number and IFSC code (PYTM123456). Hope you now understand how to transfer money from Paytm wallet to any Bank Account. 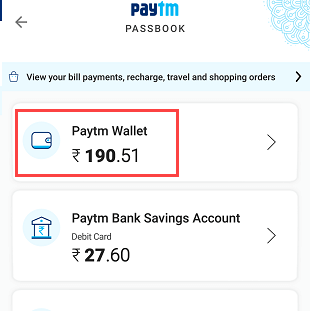 If you are planning to close your paytm wallet and want to withdraw all money then use this guide and you are done.